He deleted his account because we all knew it was him. 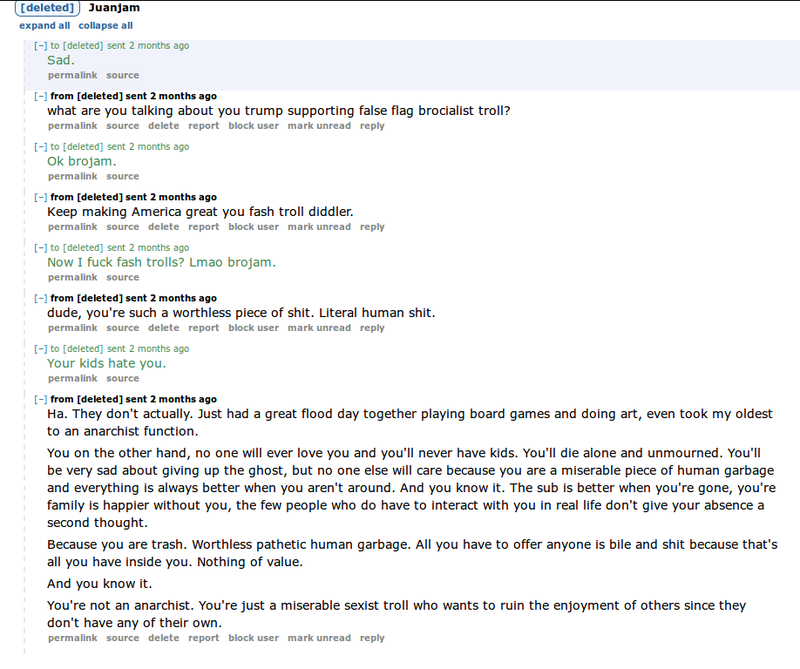 He also sent tons of angry messages to [a mod] that were way worse. I remember when Hamjam played high-road taking rational chill guy under attack by weirdo Internet terrorists, but this is what these trolls are like under all that faux demeanor.